Earlier this year, The CW decided not to order any new episodes of The Jerry Springer Show, bringing the show’s 27-year run to a sudden, surprisingly uneventful end. Now, though, after a few months of having to put up with the countless other things to watch on TV in the middle of the day (Teen Titans Go! 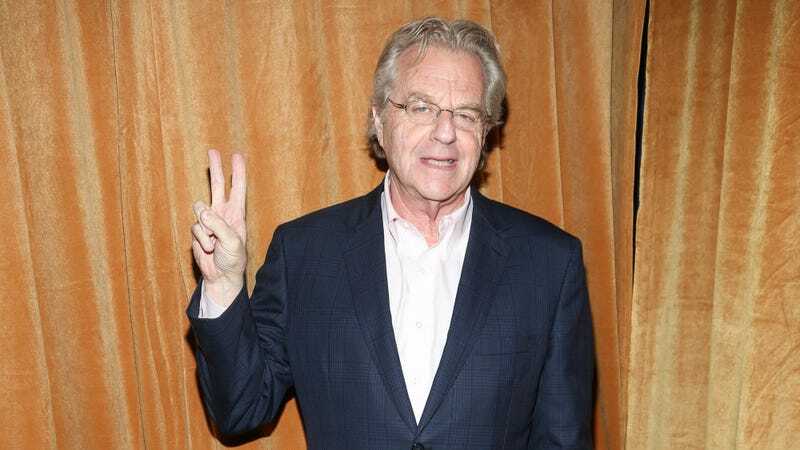 is literally always on, just watch that), Jerry Springer Show fans will soon be able to see their favorite dude back on TV as he once again goads people into arguments while throwing his hands up in faux-frustration as it all goes off the rails. As reported by Vulture, NBCUniversal is producing a new show called Judge Jerry that—get this—will make Springer a him a real judge (or at least a real TV judge). This will also put him in direct competition with Judge Judy, so this will probably inspire some major fights among the people who care about this stuff. The show will apparently premiere “this fall,” which only gives Judge Jerry a few weeks to get a big hammer, a powdered wig, and one of those black judge cloaks. Recommended Stories! Recommended Stories! Recommended Stories!